Wondering how to earn money online? The professional world has definitely changed and more than ever, people are choosing to forgo the typical 9-5 workday by choosing remote opportunities – and in some cases, build a part-time side gig, to make money online fast. But with so many opportunities – and scams – out there today, finding legit ways to make money online can be difficult. You can earn money online fast via online surveys, random freelance gigs, or even selling your old stuff on eBay. But what are the best ways to make money online consistently? There seem to be so many options out there, but which ones are actually worth the effort? There are plenty of ways to make good money online, you just need to know where to look. Survey sites, marketplaces, and blogging can be great sources of additional side income. Landing on something that can earn a lot of money month after month can be a challenge – but if you’re consistent, you can feasibly make an extra $200-$300 a month. Pinecone allows you to evaluate products before they hit the shelf! 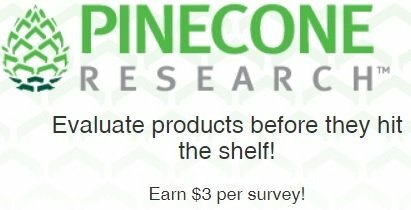 Earn $3 per survey! It is easy to sign up. Fill out some general information about yourself, select who does the grocery shopping and if any member of your household works in the research or adverting industry. Then you are off to start earning $3 for each survey you fill out. Check it out and start earning now! If you’ve ever joined a survey website, you’ll know how frustrating they can be. One of the biggest gripes is that you’re often entered into surveys for which you are ineligible. What should be an easy way to make money instead wastes precious time and takes a lot longer than it should. Opinion Outpost emails its members once every couple of days with new jobs. Every time you complete a survey, you receive points. Points then can be turned into real cash. The exchange rate between points and real cash is one point per $0.10. What’s more, unlike many survey sites, the minimum number of points you can cash out is low at 100, or $10, and all money will be instantly paid into your linked Paypal account. If you need to make money online fast, this is a pretty good option. Nielsen research, one of the leading research providers with 90 years of research, allows you to improve products & services you already use online. Nielsen’s panel combines their unique internet insights with people like you to build a picture of consumer behavior and interest. With no additional work except being yourself, we invite you to make a difference – and you can win prizes! Nielsen also gives away over $10,000 every and every month. It is easy to get started. You just sign up, fill out a few registration questions about your household & the types of Internet devices you use. Nielsen is one of the oldest and trusted professional research company and the world’s leading provider of media and marketing information, including the Nielsen TV ratings. Blogging has gone from obscurity to a major marketing vehicle in the space of just a few short years. As a result, companies and blogging agencies are desperate for people who are able to write in engaging and fluent prose. We started with Bluehost because they give you a free domain name and great hosting for only $3.95 a month. The great thing about many online blogging jobs is that you’re able to do them at your own pace. Deadlines are often within a 24-hour period, meaning that there’s no obligation to work certain hours of the day. Most blogs can be completed in the evenings, on the weekends or even in the early mornings outside of your regular working hours. If you decide to go it alone, you can potentially make even more money. Many amateur bloggers who corner a particular niche end up taking home more than $10,000 a month in advertising revenue. Large followings open up advertising deals and sponsorships, jacking your monthly income up even more. Stay focused on your audience, continuously predict the content they want, and dedicate your free time to making it a reality. It’s worth remembering, however, that blogging isn’t just about writing. It’s also about integrating your blog into wider social media circles. Often, having your own website isn’t enough to attract a significant audience. Bloggers need to know how to make a presence on major social media sites, like YouTube, Instagram, and Facebook to really penetrate the market. If you’re a professional looking to make a little money online, you might have wondered whether there are any opportunities to teach. It turns out that thanks to sites like Udemy, there are. Udemy is a platform which connects teachers with students for thousands of different courses. You can either sign up as a teacher on an existing course, or you can create your own. What’s more, you’re not restricted by any imposed pricing by Udemy themselves. Instead, you can simply charge what you think your services are worth. If you’re a world-leading expert in a particular subject matter, you can earn a significant amount of money. To be successful on sites like Udemy, you’ll need to work hard and have a strategy. Thousands of new instructors join the site every year, meaning that it can be difficult to get your course noticed. To really succeed, you need to adopt a business-minded approach, marketing your course on Facebook and offering money-off codes and other incentives. Top Udemy instructors describe the site as a cash machine, but you need to get your marketing right. Like Opinion Outpost, Swagbucks is a survey site where people can earn money just for filling in online surveys. However, Swagbucks has some advantages over its competitors. The first is the fact that it gives out $5 to each person who signs up, something that few sites do. Second, it’s a lot more user-friendly than the majority of survey sites out there. Not only are there plenty of surveys to complete, but the site also offers additional activities for making money online too. So far the site has awarded its members more than $15 million (£114 million), for everything from taking surveys, to shopping online to watching videos. Finally, Swagbucks holds regular raffles where it selects lucky members to receive extra points at random which they can then transform into cash. 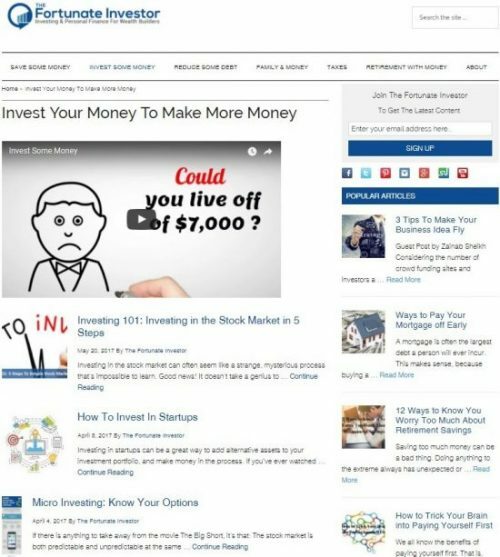 Swagbucks is well known and has been featured on major news outlets like ABC, Time and Fox. Though it sounds like a scam, it’s not: it’s legal and safe to use. If you’re looking to make money online surveys are a fantastic opportunity. Harris Poll is one of the most famous survey companies in the world and owned by the Nielsen company. As a result, they are one of the premier survey companies to make money online. They have been in business for 50 years and are one of the oldest and original market research and survey companies. You get to use your opinions to influence corporations, governments and even not for profit organizations. You can share your opinions and ideas, but you also get to receive rewards for it. They are always trying to add new rewards and some of the best new rewards on the rewards page. It is a great way to earn money online quickly. They also have some of the best reward partners featuring Amazon, iTunes, Starbucks, ESPN, WSJ. With the rise of the gig economy, entrepreneurs are slowly waking up to the fact that there’s money to be made matching people to jobs. Customers want their houses to be cleaned, their new shelves from IKEA to be installed, and their lawns to be mowed but they don’t want to go to the hassle of searching online for the exact person to do it. This is where TaskRabbit comes in. It’s an online market, trading skills for cash, allowing customers to find people to do odd bits of work in their local area through an app. For the people doing the work, the TaskRabbit app informs them of potential jobs nearby, allowing them to select any jobs they’d like to complete, quote a price, and confirm with the client. It’s a little bit like Uber, but for dozens of other services, other than taxis. There are all sorts of jobs you can do on platforms like TaskRabbit, including helping people move into a new home, working as a personal assistant, being the local handyman or cleaner, or delivering products by courier. The potential list of jobs is virtually endless – great news if you’ve got a wide range of skills to offer. Digital technology is the new frontier in businesses, and more companies than ever before recognize that online user experience matters. Because of this, companies are looking for people who can test their websites, find bugs and alert them to any problems before opening up their sites to the general public. Sites like UserTesting.com are platforms that connect businesses with testers. Companies upload their jobs onto the site, and all you have to do login, accept a job, try out the company’s website features and rate it for usability using online apps. Most testing jobs will net you around $10 and take about 20 minutes. The great thing about website testing is that there is a lot of competition in the market. Dozens of websites offer user testing services, including Enrol, StartUpLift, Testing Time and more. Some platforms, like Testing Time, demand more of your time, but they pay significantly more. 60 to 90 minutes’ work can net you more than $50 which is paid into your Paypal account 5 to 10 working days later. Ever since Amazon Kindle first burst onto the scene, authors of all stripes have been able to bypass the regular publishing channels and get their books out into the wild. What many people don’t realize, however, is that making big money on Kindle and other online eBook platforms is actually doable, especially if you’ve got significant expertise in a particular topic. You don’t need to write the next Tom Clancy novel or Harry Potter: all you need is a niche idea that can really help people in their personal and professional lives. Take Nathan Barry, for instance. Barry started out his career as a web designer. But he got sick and tired of his job and decided to quit at the end of 2011. Not knowing what to do next, Barry began considering whether he could make any money selling books on Amazon. He soon realized that people wanted books on subjects like How To Design Web Applications and App Design For Dummies. Before long, he began writing his first ebook, launching it a few weeks later. Within 24 hours, he’d made more than $12,000, thanks to pent-up latent demand. It turned out that people were desperate to learn how to build their own apps, but there were so few reasonably-priced resources out there they could use. By far one of the most lucrative ways to make money online is to sell consultations. Perhaps the biggest market out there right now for this sort of thing is tuition, with dozens of companies offering opportunities for people to educate others online, using programs like Skype and Zoom. If you target the high end of the market, you can often make more than $100 an hour, especially if you’re educated to a post-graduate level. Ipsos is an election polling company which tries to assess the current state of public opinion. During the Brexit campaign and the 2016 US Presidential Election, many of the major polling companies did a bad job, although Ipsos fared a little better. To get accurate polls, the company needs a broad sample of people to include in its survey. And the good news is that that includes people like you. All you need to do is answer how you’re likely to vote, what issues matter to you and so on and you’ll get paid by Ipsos for any work you do. The amount you get paid as a panel member varies considerably depending on the type of survey. The majority of surveys take around 20 minutes and pay out $10 into your Paypal account. Some, however, pay out even more. 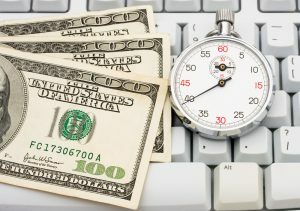 There are rumors that the longer surveys which take more than an hour to complete pay out more than $95, though actually being entered into one of these is relatively rare. 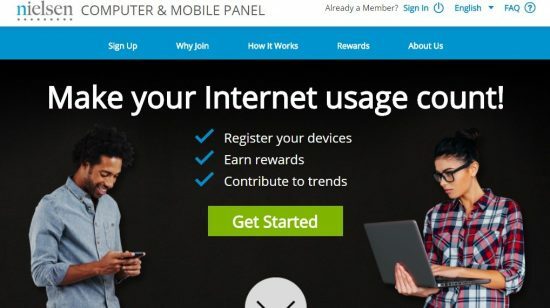 Ipsos, like Swagbucks, also uses a point system to try and make earning money through its platform more fun. The cool thing about the Ipsos system is that these points can be earned alongside actual money and exchanged for goods and services on partner sites like Amazon and iTunes. 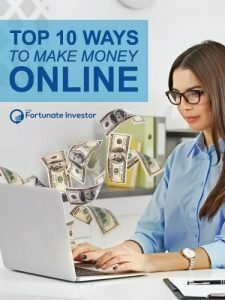 Want even more tips on how to make money online?